Mark Allen, Jason Brown, and Liz Flynn, eds. Los Angeles: Machine Project, 2009. Machine Project is a Los Angeles–based social experiment that investigates art, technology, natural history, music, and poetry through collaboration and conversation. On November 15, 2008, Machine Project took over the Los Angeles County Museum of Art to orchestrate ten hours of performances, workshops, and events—experimenting with the museum's collection and seven-acre campus. 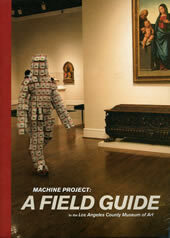 Machine Project documents over fifty artists' projects, contextualized with interviews and essays. 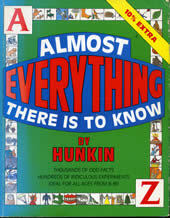 Highlights include a nineteenth-century description of the invention of the glass harmonica, a fragmentary history of the museum's architecture, instructional diagrams for do-it-yourself mechanisms, a fruit-salad recipe based on the museum's collection, and a tour of the museum's campus during the Pleistocene epoch. New York: Abrams Books, 2002. 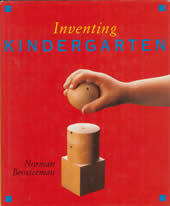 Inventing Kindergarten is the first comprehensive book about the origin of kindergarten, a revolutionary educational program for children that was created in the 1830s by charismatic German educator Friedrich Froebel (1782–1852). Froebel's kindergarten was a fascinating system for teaching children about art, design, mathematics, and natural history. Architect and artist Norman Brosterman tells the story of Froebel's life and explains his educational philosophy, focusing on the remarkable "gifts" he devised: a series of twenty educational toys used in the kindergarten classroom. In the astonishing final chapters of the book, Brosterman shows how the visionary ideas of artists from Buckminster Fuller to Piet Mondrian to Frank Lloyd Wright first took shape in their kindergarten play. Cabinet is an award-winning quarterly magazine of art and culture that confounds expectations of what is typically meant by the words art, culture, and sometimes even magazine. Like the seventeenth-century cabinet of curiosities to which its name alludes, Cabinet is as interested in the margins of culture as in its center. 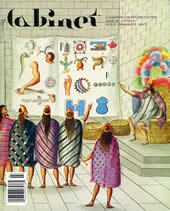 Presenting wide-ranging, multidisciplinary content in each issue through the varied formats of regular columns, essays, interviews, and special artist projects, Cabinet's hybrid sensibility merges the popular appeal of an arts periodical, the visually engaging style of a design magazine, and the in-depth exploration of a scholarly journal. Issue 39 features a special section on learning and offers entries by Wayne Kostenbaum, Margaret Wertheim, D. Graham Burnett, and Jeff Dolven. Boston: Houghton Mifflin Harcourt, 2009. Frank Oppenheimer followed in footsteps of his famous brother J. Robert Oppenheimer, growing up in a privileged Manhattan household, becoming a physicist, and working on the atomic bomb. Tragically, Frank and Robert both had their careers destroyed by the Red Scare that followed the Second World War. But while Robert died an almost ruined man, Frank came into his own, emerging from ten years of exile on a Colorado ranch to create a new type of institution whose impact was felt all over the world. 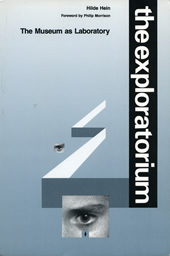 His Exploratorium was a "museum of human awareness" that combined art and science while it encouraged play, experimentation, and a sense of joy and wonder. K. C. Cole, a friend and colleague of Frank's for many years, has drawn from letters, documents, and extensive interviews to write a very personal story of the man whose irrepressible spirit would inspire so many. 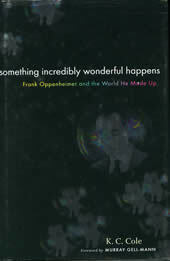 The book's true subject is Frank's work at the Exploratorium and his philosophy—not just of science education but of life. Matthew Coolidge, and Sarah Simons, eds. Los Angeles: Metropolis Books, 2006. This book takes readers on a tour through the strangely unfamiliar land that Americans live in, demonstrating that we can understand ourselves and the nation by examining the clues on display all around us—clues that are often clearly visible but ignored. Each chapter explores a different topic, from an in-depth look at Ohio ("the most all-American state"); through scale shifts in model landscapes, exemplified in the three largest hydraulic models in the world; and law-enforcement training environments that simulate public space. Following lines and edges through cities, suburbs, small towns, and wide-open spaces, the Center for Land Use Interpretation (CLUI) guides us upstream toward the heart of another America—the same, but different. 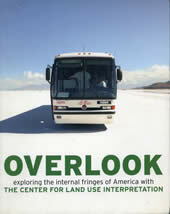 A research-based educational organization that produces public programs about the built landscape of the United States from its sites in Los Angeles, Utah, and the Mojave Desert, CLUI's aim is to increase and diffuse information about how the nation's lands are apportioned, utilized, and perceived. Art as Experience is John Dewey's major writing on aesthetics, based on the William James Lectures he gave at Harvard in 1931. 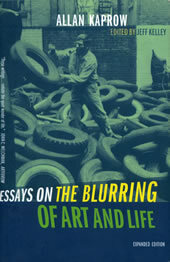 Dewey aims to shift the understandings of what is important and characteristic about the art process from its physical manifestations in the "expressive object" to the process in its entirety, a process whose fundamental element is no longer the material "work of art" but rather the development of an "experience." This is a dramatic expansion of the bounds of aesthetic philosophy, for it demonstrates the connections of art with everyday experience and in so doing reminds us of the highest responsibilities that art and society and the individual have always owed to each other. Carolyn Edwards, Lella Ganini, and George Forman, eds. Norwood, New Jersey: Ablex, 1993. The city-run early childhood program of Reggio Emilia, Italy, has become recognized as one of the best systems of education in the world. Over the past forty years, educators there have evolved a distinctive innovative approach that supports children's well-being and fosters their intellectual development through a systematic focus on symbolic representation. Young children (from birth to age six) are encouraged to explore their environment and express themselves through many "languages," or modes of expression, including words, movement, drawing, painting, sculpture, shadow play, collage, and music. Leading children to surprising levels of symbolic skill and creativity, the system is not private and elite but rather involves full-day child care open to all, including children with disabilities. This survey is a rewarding and enriching overview of the Reggio practice and philosophy. Washington, DC: Smithsonian Institution, 1990. The product of ten years of research and observation, Hein's study aims to tell the story of how the Exploratorium pioneered the participatory museum philosophy and practice. Focusing not just on its charismatic founder and leader, Frank Oppenheimer, Hein examines several other skilled and dedicated staff and community members who work to make the Exploratorium a reality. She pays special attention to the role that art and artists played in the museum's founding ethos. A cartoonist, engineer, and tinkerer, Tim Hunkin compiled Almost Everything There Is to Know from his legendary "The Rudiments of Wisdom" comic strip published in Britian's Sunday Observer (1973–1987). Cataloging almost everything under the sun from alchemy to X-rays, this illustrated encyclopedia is a collection of thousands of arcane histories of invention, enthralling science facts, and ridiculous experiments. In the late 1950s, Kaprow coined the word "happenings" to describe the performance pieces that approximated in art the unpredictability of everyday life. In this collection of twenty-three thought-provoking essays, reviews, and manifestos written between 1958 and 1990, Kaprow takes aim at an insular art avant-garde. Criticizing popular trends in modern art (color-field, hard edge, pop, video art, assemblage, and so on) as "developmental" instead of truly experimental, he envisages a more "lifelike" art that probes, tests, and reintegrates reality. Illustrated with photos and reproductions of artworks, these essays impart Kaprow's view of artists such as Mondrian and Jackson Pollock and his opinions of wider topics such as the transition of the artist from beatnik to businessperson. San Francisco: Chronicle Books, 2009. 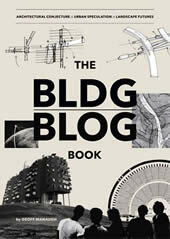 Read by millions since its launch in 2004, BLDGBLOG is the leading voice in speculation about architecture, landscape, and the built environment. The BLDGBLOG Book distills author Geoff Manaugh's unique vision, offering an enthusiastic, idea-filled guide to the future of architecture for the intellectually curious. New York: Hill and Wang, 2009. Noë turns Descartes's famous statement on its head: I am, therefore I think, says Noë. The author, a philosopher at the University of California, Berkeley, challenges the assumptions underlying neuroscientific studies of consciousness, rejecting popular mechanistic theories that our experience of the world stems from the firing of the neurons in our brains. Noë argues that we are not our brains, that consciousness arises from interactions with our surroundings: Consciousness is not something that happens inside us; it is something we do or make. Noë points out that many of our behaviors, such as using language, are foundational aspects of our mental experience, but at the same time many, if not most, behaviors are environmental in nature—we act in a particular way in a particular situation. Readers interested in how science can intersect with and profit from philosophy will find much food for thought in Noë's groundbreaking work. Los Angeles: Society for the Diffusion of Useful Information Press, 1994. No One May Ever Have the Same Knowledge Again is a collection of extraordinary letters written to the astronomers at Mount Wilson Observatory in the first half of the twentieth century. The one-way correspondences, collected and published by the Museum of Jurassic Technology, are written by people from all walks of life and the world over expressing their idiosyncratic understandings of the universe. This book contains photographs of many of the most visually intriguing letters, and a collection of period plates from the observatory, as well as photos of the astronomers to whom these remarkable letters were addressed. Los Angeles: Los Angeles County Museum of Art, 1971. In 1966, Maurice Tuchman, curator of modern art at the Los Angeles County Museum of Art, introduced the Art and Technology (A&T) program. The mandate of this project was to promote an exchange between artists and the corporate world. Tuchman selected California companies capable of supporting art projects, either by contributing financially to the museum or by providing technical expertise, and in 1967 the museum's corporate partnership proposal was officially presented to 250 companies. Of these, 37 responded to the request, with 40 others formally committing to contribute to the program. Tuchman then went about selecting American and European artists from several disciplines whose proposals had the greatest potential of generating productive dialogue with industry. 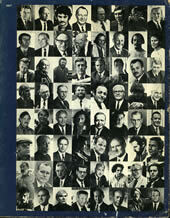 The report is a collection of documents and testimonials from 1966 to 1971, the years that the program was active. It also constituted the catalog for the exhibition of works at the American pavilion at Expo 1970 in Osaka. Los Angeles: The Institute For Figuring, 2007. For two thousand years mathematicians knew about only two kinds of geometry—the plane and the sphere. But in the early nineteenth century they became aware of another space in which lines cavorted in aberrant formations. Offending reason and common sense, this new space came to be known as the hyperbolic plane. Although the properties of this space were known for two hundred years, it was only in 1997 that mathematician Daina Taimina worked out how to make physical models of it. The method she used was crochet. Here, Institute for Figuring director Margaret Wertheim presents a brief history of hyperbolic space in mathematics and nature, and offers a "field guide" to its crocheted manifestations. 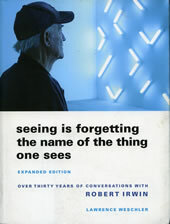 When this book first appeared in 1982, it introduced many readers to Robert Irwin, the Los Angeles artist "who one day got hooked on his own curiosity and decided to live it." A rare longitudinal study, the book traces how an artist's life can be animated by inquiries into the surrounding world. Now expanded to include six additional chapters and twenty-four pages of color plates, Seeing Is Forgetting the Name of the Thing One Sees chronicles three decades of conversation between Lawrence Weschler and light-and-space master Irwin. It surveys many of Irwin's site-conditioned projects—in particular the Central Gardens at the Getty Museum (the subject of an epic battle with the site's principal architect, Richard Meier) and the design that transformed an abandoned Hudson Valley factory into the Dia Art Foundation's new Beacon campus—enhancing what many had already considered the best book ever about an artist. CMU STUDIO for Creative Inquiry, 2011. 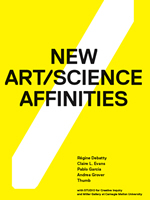 New Art/Science Affinities focuses on contemporary artists working at the intersection of art, science and technology, and was produced in seven days by a collaborative authoring process known as a "book sprint." Derived from "code sprinting," a method in which software developers gather in a single room to work intensely on an open source project for a certain period of time, the term book sprint describes the quick, collective writing of a topical book. The book includes meditations, interviews, diagrams, letters and manifestos on maker culture, hacking, artist research, distributed creativity, and technological and speculative design. This material is based upon work supported by the National Science Foundation under Grant No. NSF 0905069. Any opinions, findings, and conclusions or recommendations expressed in this material are those of the author(s) and do not necessarily reflect the views of the National Science Foundation.